Warning: running a marathon is an endurance event; writing the marathon likewise; and the reader won’t get off lightly either. Arithmetic calculations: the marathon distance is 42.2 kilometres. That’s a long way. My car gets tired going that far. If my running speed over forty-two kms averages eight minutes a kilometre, the run should take me around 337 minutes – just under five hours and forty minutes. The event starts at 0630. My plane home from Alice Springs leaves at 1230. It takes 20 minutes to drive from the Finish Line to the airport. Something will have to give. 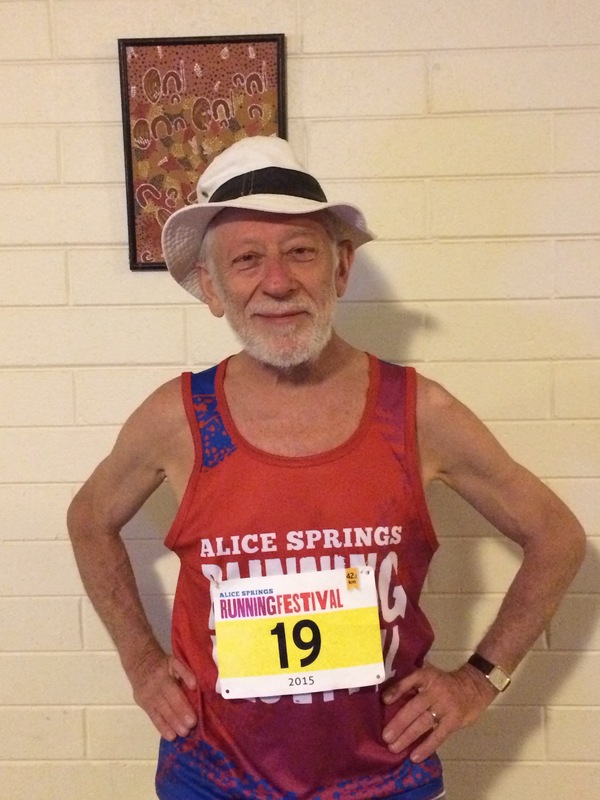 I write to the President of the Alice Springs Walking and Running Club: will you allow me to start 30 minutes early? I have run this particular marathon so many times they treat me like some sort of fixture, an ancient site that happens to move. Slowly. The President, good bloke, Collingwood supporter, writes back: shouldn’t be a problem. Even so it will be tight. So I book a later flight, this one not direct – not ideal for a blistered person, jaded and aromatic in his marathon clothes, and badly in need of a shower. Final arithmetic calculation: the earlier start and the later flight home are seven hours and ten minutes apart. Should suffice. They are predicting rain. In Alice Springs? Absurd! The Weather Prophet on the ABC says it will rain. From her residence deep within my slim phone, Siri agrees. It’s never rained in any of my previous dozen or so marathons here. Arriving at the Start at 0515 I present myself to the Race Director to confirm the earlier start. Race Director, pleasant man, youngish, shakes a head full of brilliantined hair: O no, I’m terribly sorry, but that won’t be possible. O no. Duty of care. No Course Marshalls in place at that hour, no drink stations. Not possible, sorry. Duty of care, you understand. I do understand – not a Collingwood supporter. I understand too that care and marathon running are antithetical notions. Hence the Waiver all runners are obliged to sign. That waiver says, I know it’s a long way. I don’t care. I know it’s tiring, I know I will encounter everything about myself I have ever feared. I don’t care. I know I haven’t read this Waiver. I don’t care. Just let me run. I hand over my many bottles of restorative drink, each of them labelled in lipstick pink with my running name, PHEIDIPIDES. I will drink this elixir at the 15 Kilometre mark, at 18, 21, 24, 27, 30, 33, 37 and 40 Kms. Inspired by Russian success at recent Olympics I have decided to employ chemicals to aid my efforts. My drinks contain my familiar drugs – caffeine, sugar, caffeine, water, caffeine – as well as electrolytes, some more caffeine, and brown boot polish. In total I will consume four litres of this concoction, known to the retail market as Coca Cola. Just before 0630, the Hour of Dutiful Care, a lady marshalls us forty-plus starters. I look to the heavens. In the dark they keep secret any rainy intention. So far, so dry. Steve Monaghetti will be our Starter. Monaghetti the unforgettable. Mona – to his country an ornament, to fellow runners an inspiration, his name an amulet. My mind goes back to the Barcelona Olympics, where Mona finished in the top ten. As he did in all three of his Olympic Marathons. In the steam and heat of that day in Barcelona, numerous fabled runners simply failed to finish. The famed Kenyan, the feared Japanese, the mystic Korean champ, all were defeated by the heat and the steeps of Montjuic. But Mona finished. Ten seconds after Mona crossed the line the man from Aussie TV poked a mike into our man’s face. Pretty tough out there today, Mona? The TV bloke listed the eminent Did Not Finishers by name. Then he asked Monaghetti: Did you think of pulling out yourself? Mona’s eyebrows shot upward. He looked at the interviewer as if he had addressed him in a strange language. Shaking his head slightly in wonder, Mona replied: No mate. Running for Australia mate! A slight figure in a yellow running shirt glows in the half light of an Alice dawn. Kenyan slim, Mona takes the mike, speaks: Runners! I salute you. Today you will achieve something significant, something most people will never do, will never even contemplate… Anyone here running their first marathon? A slim arm rises falteringly. Addressing the young woman Mona says: You will never forget this day. I admire you. I admire you all, I respect you all. Good luck, enjoy your run. I’ll see you at the Finish. BANG. Eighty-two legs break into a run and cross the Line. Two legs attached to a slowly moving fixture come to a stop as Pheidipides fiddles and fusses with his phone. He activates the new running App which will record his run. He starts again, again stops. The App has defeated him. Hapless, he resumes his run, Appless, philosophical. So easy these first kilometres. A worry, all this ease, as my caffeine-charged legs race around sluggards, skip through gaps in the field. I know my legs are running the lip of the Crevasse of Euphoria. At the bottom of that crevasse I have buried many marathons past. I take stock of my fellow runners, my comrades. They range in age from mid-twenties to mid-fifties. The oldest of them is a string bean striding oddly in front of me. The runner is tall, his left elbow swings back towards my face then forwards, back and forth, fixed in semi-flexion. I spend some time in clinical contemplation of his oddity. Is this spasticity perhaps – a relic of stroke or of injury at birth? Yet the Bean moves efficiently, maintaining his lead as others fall behind us. Running through parkland I lean into a bend in the track and, surprised by ease, slide past the Bean. I will not see him again until the 10K mark. Turning out of town now, the field thins as we file towards the first of the water gaps in the encroaching MacDonells. Here in the half dark, glowering over us, looms a mighty bulk of rock and crag. Truly named Ntaripe in the original Arrente, the Gap is ‘Heavitree’ on the tongues of us newcomers. Idle googling traces the name to an English town outside Exeter in Devon. The name appears in the Domesday Book as Hevetrowa or Hevetrove, a name thought to derive from heafod-treow – old English for “head tree”, referring to the tree on which the heads of executed criminals were placed. Apparently this was an execution site. The last executions in England for witchcraft took place in Heavitree in 1862. Here the Bideford Witches met their end. The women had names – Temperance Lloyd, Mary Trembles and Susanna Edwards. The names humanise Google’s dry history. Thoughtfully I plow onwards, on toward Emily Gap which will announce the seven-kilometre mark, and to Jesse Gap which will welcome me to the halfway mark and the turn for home. I pass a couple of young women. They smile delightfully. All of the females running today have delightful smiles. Later I will ask myself: are their smiles truly delightful or am I simply delightable, caffeine-struck, euphoric, singing wetly as I run, ‘hello skies, hello clouds’? Who knows? I recognize one of the smilers; she is the slender girl blessed by Monaghetti. His words come back to me: ‘You will achieve something significant today.’ What does all this signify, all this sweat and Vaseline, all these hundreds of training kilometres, these thousands of airline kms, this gathering in the dawn, this nervous excitement? These civilities flow naturally back and forth between us, two old dogs sniffing each other’s bottoms. Straight away I’m glad we spoke. Ralf – that’s his name – comes from Germany. This is his first visit to Alice. He’s sandwiching this event between marathons in Brisbane and Perth. He averages a full marathon every two weeks. He’s done this for the last few decades. My mind shrinks from the arithmetic. Our conversations meanders with our route. I learn how this quietly spoken, hugely achieving man looks upon the world: ‘When a man loves his country, this I respect. When he declares his nationalism I feel tremors of a competitive love, one that can easily express itself in aggression.’ Like many German people I have met, born after WWII, Ralf is sensitive to such things. For all my admiration for Ralf’s achievements he shows a surprising respect for my own – vastly lesser – and for my dilettant commitment. His best time of two hours forty-plus minutes beats my historical best by half an hour. (He reassures me: ‘These days I am not so fast. Perhaps four hours, perhaps more today.’) Ralf’s tally of marathons is approaching five hundred, literally ten times mine. Why should he respect my efforts? Is it the hoary head? I do not think so. Ralf respects the marathon, the foe we share; his respect for me is self-respect, deflected. That significance, that meaning, the gravumen, hard to pin down, lies behind our weird seriousness. So much for my clinical eye. But his left upper limb does move funny, with a sort of clockwork rigidity where all else is fluid. Ralf’s long legs draw him ahead. With every stride he opens a small gap before checking himself and slowing. Such courtesy! ‘Ralf, don’t wait for me. I’ll see you at the finish.’ He glides easily away. And now a new companion, equally welcome, greets me. It’s the rain. Cooling, a light sprinkling, a benison. Running a marathon in light rain is like swimming with flippers. Everything feels easier. I shake my head and run on. Did Pheidipides win? Did he lose? Does any finisher lose? At the 18Km mark another drink of Coke, another sit down, another pheidipidean lecturette. And so it goes at every Coke stop. Everyone wants to know about my strange name. I astonish them with my story of the brave Athenian of Marathon Field. In short a rare excitement stirs my spirit and my body. I cannot tell whether it is the spirit of storytelling or the spirit of Coca Cola. The world is a quiet blanket of cloud. The tight skein of the start has unraveled. Two score runners snake silently along. Our slow ballet moves across the backdrop of unchanging crags and ridges. The MacDonells stare at us mutely, their aged faces unreadable. All of us runners alone with our thoughts or – as in my case – our lack of thoughts. At 24 kilometres a friendly face waves me down. The volunteer hands me my pink-labelled potion and asks, ‘What’s with the name?’ I take a seat – hers – and I tell her the tale. It’s a tale I tell my grandchildren, it’s the tale I read in our thin textbook of Social Studies in Third Class. I read then of Pheidipides and I felt inspired. The story remains alive within me. When I run today it is to save Athens from the invading Persians. Three hundred millilitres of my gentle intoxicants later, I rise and run on in euphoria – aptly originally Greek for ‘the power of enduring easily’. Once upon a time, a long time ago, when ancient Greece was young, there was a fast runner in the city-state of Athens. His name was Pheidipides. Athens was a city great for learning, for the arts and beauty. It was different from Sparta, which was famous for its physical culture, for the arts of war. So Pheidipides ran home to Athens with the bad news. He ran for three days and three nights, pausing only to drink at streams on his way. He reached Athens at dawn and told the elders there would be no help from the great fighters of Sparta. Athens would have to face the Persians alone. The elders said, ‘Well, our army is just about to march to Marathon Field to face the enemy. Will you come and fight too?’ So Pheidipides put on his heavy armour, took his shield and his spear, buckled on his great sword, and marched with the army to Marathon. The distance was forty kilometres. My car gets tired driving that far. When the Athenian army met the great Persian army at Marathon it was still early morning. They fought the enemy from morning to late afternoon, and as the sun began to sink in the sky, it was Athenians who carried the day. The defeated Persians ran to their ships and sailed away. The Athenian General said to Pheidipides: ‘You are our best runner. Run back to Athens and tell the people the city is saved.’ So Pheidipides ran back to Athens. As he approached the city the old men who stood on watch on the walls saw a lone figure approaching. They recognised Pheidipides and threw open the city gates. And Pheidipides cried to the old men and the women and the children – Rejoice my people! Ours is the victory! Then he fell to the earth and died. After the finish a praying mantis wearing a smile, a stiff elbow and a finisher’s medal, approached me. It was Ralf. He’d finished 30 minutes before me. Thirty minutes! My own time was thirty minutes faster than last year’s. There being no other runner in my age group and Alice being the sole marathon in the Northern Territory I declared myself “Northern Territory Marathon Champion (male, over seventy), 2016”, and duly attached this to my Resume. 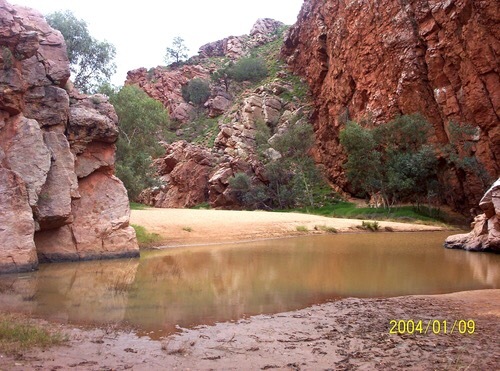 A few weeks ago someone cut the water supply to a town camp on the outskirts of Alice Springs. The ‘camp’ belongs, by ancient practice and by government fiat, to a local clan of Aboriginal people, heirs to a tradition of tenure that goes back beyond white settlement, beyond the dawn of written history. 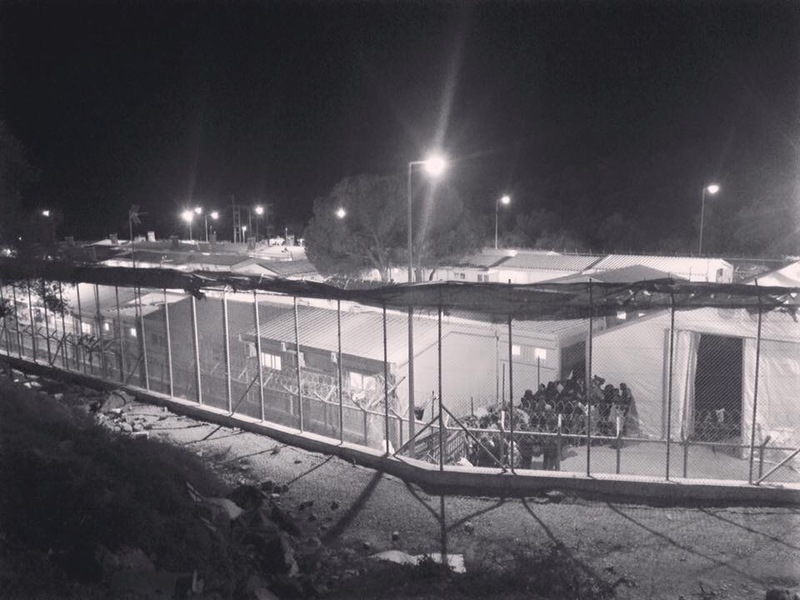 Whitegate is far from how we might imagine a camp, being neither an attractive resort nor a place of refugees. 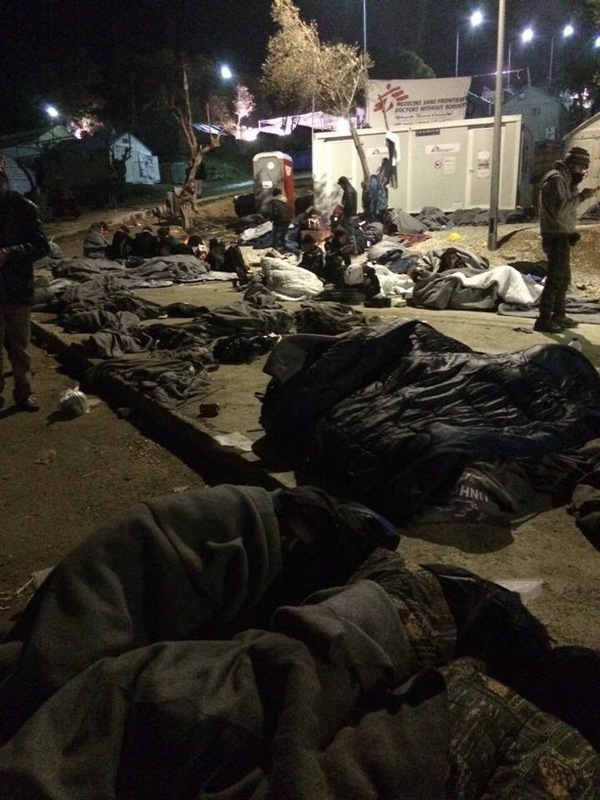 Whitegate Town Camp is not in any sense a place of temporary habitation. It is habitat, it is country. It belongs to the Hayes clan as the clan belongs to Whitegate. 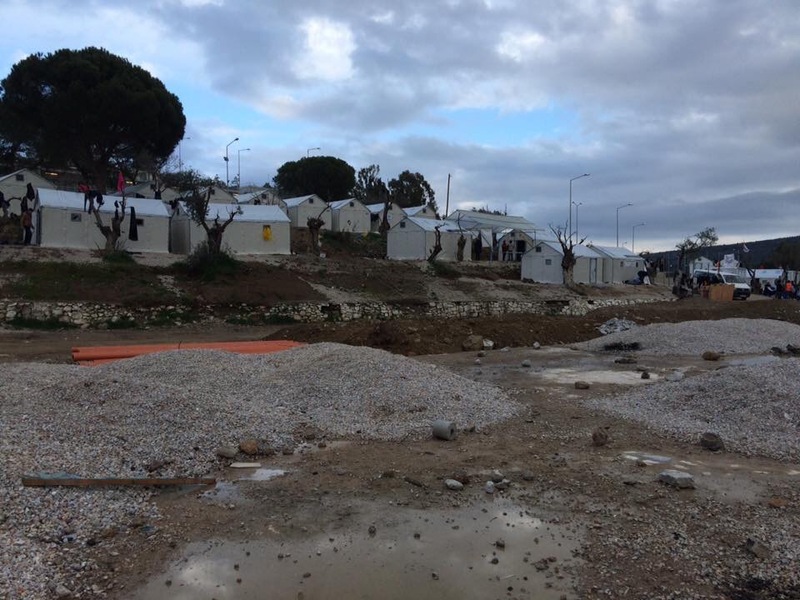 Governments wish to take over the camp, ostensibly to modernise and improve it. They seek to unseat tenure and replace this with long leases. The longest paper lease imaginable would be but momentary in the context and the conception of the Hayes family. Such paper devalues and threatens a connection which is inalienable in nature and beyond secular legal conception. So someone cut the water supply. Just possibly the government is not responsible. Responsible or not, government could quickly supply water but this has not happened. Nor has repair of the camp’s long defunct solar generation. 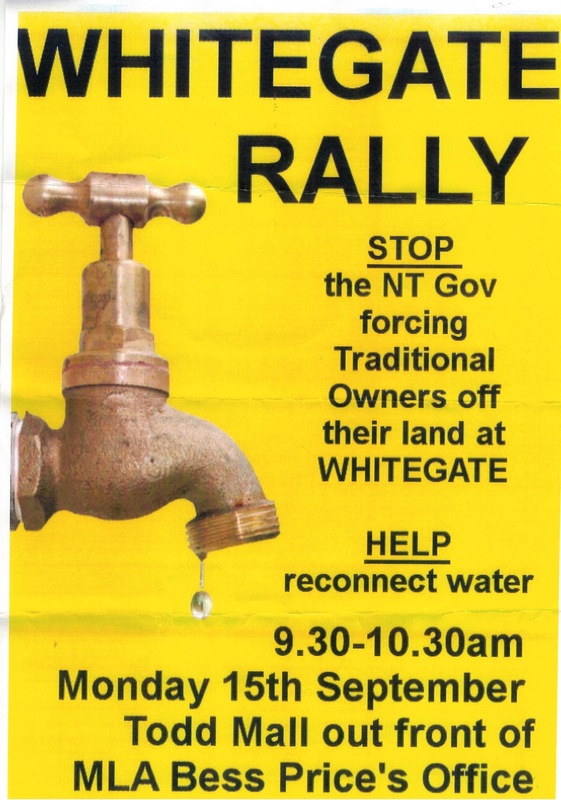 Whitegate, long a garden of neglect is now a wilderness, occupied by human Australians. 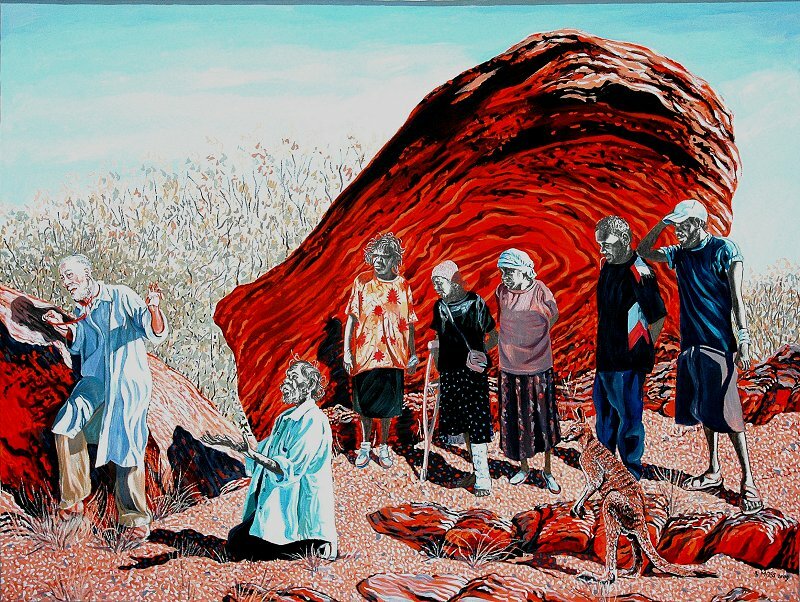 Other Australians, notably whitefella writer-artist Rod Moss, supply water and burnable fuel for heating and cooking. In the present historic moment of human barbarity it is noteworthy that none of the parties to the conflict in the Middle East – not even Assad’s Syria – has ever cut water supplies to its foe. Such an act seems to be beyond human imagining. Except in Alice Springs.